If you do a search for pizza dough recipes, you’re sure to find lots of claims for the best dough recipe. In reality, the best dough recipe will be specific to your preferences and the conditions of your environment. Here are some handy tips to guide you in the right direction. This should result in a semi-thin crust pizza with a nice crunchy crust. 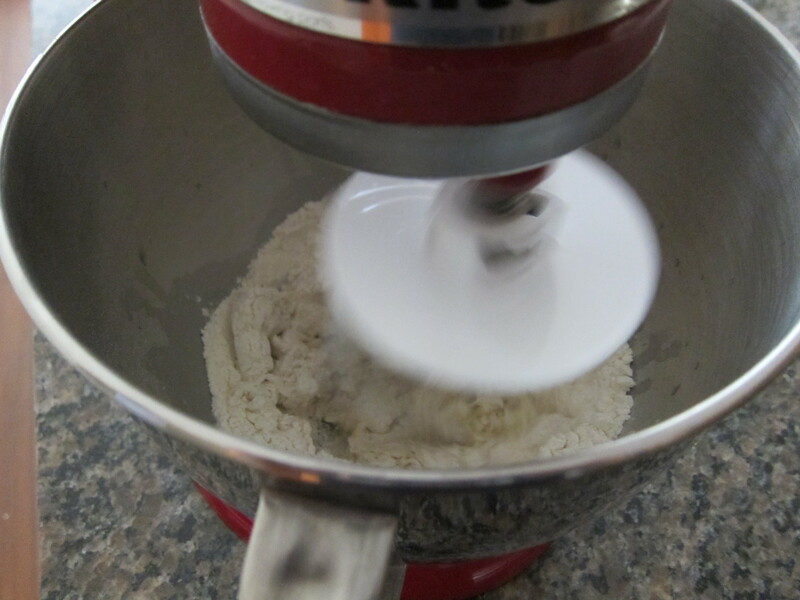 The core of any recipe will be flour, water, salt, and yeast. We’ll cover some optional ingredients below, but with just these 4 ingredients you can make amazing pizza. Yet you still have a tremendous amount of room to explore. 4The higher the protein in the flour (e.g. bread flour) the tougher and chewier the pizza. The more water, the softer the resulting pizza. If you want a crunchy slice go with a lower percentage of water like 58%, but if you want a more floppy slice then go with something like 64%. Finally, stick with instant dry yeast. You don’t need to proof it like active dry yeast and it’s got a longer shelf life than fresh or cake yeast. I normally recommend people go with a small amount of yeast, like 0.3%, and throw the dough in the fridge at least overnight. The fridge will slow down the rise, which gives more time for the gluten bonds to strengthen. The more yeast you use, the faster the dough will rise. But too much yeast and your dough will double in size before it’s ready to be opened up. The result will be the dough tearing as you try to stretch it. I recently started using sugar and oil when I’m making pizzas in the home oven. The sugar helps with browning the crust and the oil helps with getting a crispier crust. According to Tom Lehmann, there are several other benefits to adding oil. The spreadsheet above gives quantities in weight and volume since most people don’t have a scale at home. But if you don’t have a scale, just go and pick one up as soon as possible. It’s incredibly handy in many aspects of cooking and baking. With pizza dough, being off by as little as 20g (roughly 1/6th of a cup) can be the difference between a floppy slice and a crispy slice.